PureGuard specializes in the removal of fleas and ticks for home owners in and around Nashville. 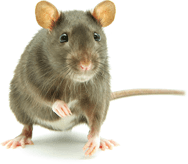 These pests are nuisances to pets and humans, to be sure; however, they also pose a danger because they can transmit disease. At the first sign of fleas and ticks, make a call to your trusted pest control specialists: PureGuard. Fleas in particular are extremely hard to get rid of without professional help. They get into your home on the fur of pets, rodents and other mammals. Did you know they can jump up to eight feet in the air? 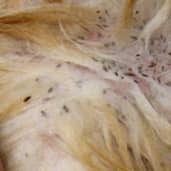 Worst part is, they can transmit the bacterial disease murine typhus to humans and their saliva can cause a negative flea allergy dermatitis in pets such as dogs. Ticks carry the bacteria that causes Lyme disease. There are three common ticks found in Tennessee: the blacklegged tick or deer tick, the lone star tick, and the American dog tick. If you have wooded or brushy areas near your home and you're outdoors frequently, ticks can attach themselves to your skin. If you suspect flea or tick infestation, call us for a free quote at 615-502-2855 for comprehensive pest control in Nashville, TN and surrounding areas. Our team can come out to inspect the property as soon as possible. Awesome customer service and did a great job. Very professional company and you can tell they are run well. No more Flea & Ticks! I will definitely use them again.